Located at the heart of Kuala Lumpur, Mosaic by Mandarin Oriental Hotel is one of the most reputable hotels in Malaysia. Upon entering the vast space, be prepared to be awed by their oriental setups. Mosaic by Mandarin Oriental Hotel offers a huge spread of Malaysian, International, Indian, and Chinese cuisine, so get your stomach ready for a great feast! If you are looking for an place with exudes a zen atmosphere in the middle of Kuala Lumpur that’s heavily influenced by the Indochinese and Thai culture, then Tamarind Springs is definitely the ideal place to celebrate Mother’s Day. Your mom is definitely in for a good spread of Indochinese food without needing to leave the country! Thinking of encapsulating the moment with your mom at a picture perfect location while enjoying a cuppa? This place is every photographer and coffee lovers’ dream come true with its floor-to-ceiling windows, promising a good dose of natural lighting for photography! Nothing beats an afternoon well spent with a slice of cake shared with the queen of our heart. Tucked away in Sri Hartamas, The Prep Room is the neighbourhood’s best kept secret. Their menu ranges from homemade sausages, hash browns, wild mushroom soup, marmalade and caramel sauce, and so much more. These guys really know how to make use of the simplest ingredient to its fullest potential so you’re definitely in good hands! Miss Ellie Tea House at Melawati serves a selection of fine teas and coffees to go alongside with their in house pastries and desserts, such as panna cotta, fruit tarts, cream puffs and more. If your mom is a woman who loves a fuss-free day, this is definitely a place for you! 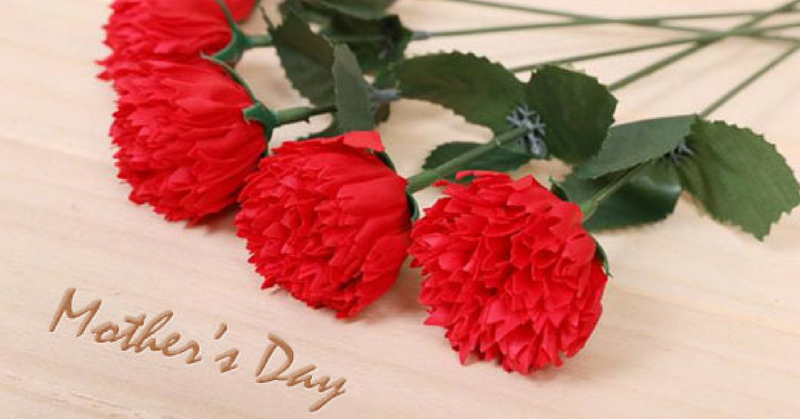 Have you ever wondered why Carnations are widely gifted to moms on Mother’s Day? According to Melissa Dunlap, the relationship between carnations and Mother’s Day began in the early 1900s. Many credit Anna Jarvis, the woman who first championed the idea of celebrating moms, with selecting the carnations as the flower of choice for Mother’s Day. Which will be your pick this year?